I love Osprey’s military history books. I have a shelf full, mainly of the ancient world ones, but with some variation. Each book is written and illustrated by different contributors, and consequently they are of varying quality (though only one or two I’ve come across have ever been less than good). On occasion, though, an Osprey book reaches the heights of excellence and becomes a real ‘go-to’ book on the subject. As well as Osprey books, I like Mike Bishop’s books. I have half a dozen of them, published either by Armatura Press or by Pen and Sword. And I know when I pick up one of Bishop’s books that I will not be able to argue with or have reason to doubt a word therein. Along with Mary Beard and Adrian Goldsworthy, Bishop is one of those folk in whose knowledge I have implicit trust. So an Osprey book by Mike Bishop? Hell yes! ‘The Gladius’ is one of Osprey’s most recent publications, part of their Weapon series, which covers everything from spears to assault rifles. I cleared my table, for I wanted no distractions, and I read it. Then, because I knew how much I’d learned and how much must have escaped my memory, I read it again. And soon, after reviewing it here, I’ll read it again. And as long as I am writing Roman fiction, I will constantly go back to it for reference, probably more than any other Osprey book. This book takes you through the evolution of the ‘Spanish Sword’ from its origins, through adoption by the Roman republican army, its gradual changes in form, and to its eventual supplanting by other types of blade more suitable for the changing nature of Roman warfare. It covers the types of Gladius found, in incredible detail. Pompeii, Mainz, Ring-pommel and others, even less well-known to the lay reader. It examines their use and their role in combat, their methods of manufacture, the part they have played in Rome’s history, and even their effects on the world that followed. What you have here is one of the very best Osprey books on offer. Knowledgeable, educational, and fascinating, yet put forward in a very accessible way (one of Osprey’s strengths and, helpfully, one of Bishop’s too.) It is also beautifully illustrated throughout, which supports the text beautifully, including some fascinating detailed drawings by the author. There is no filler or padding in this book. It is 100% on course with its subject and no matter how much you think you know your Roman weaponry, you’ll learn something from reeading it. Pride of place on my shelf. Is it on yours yet? Like history? Need a good book to read? Well here’s a selection of some of my favourites. I’ve chosen one book by one author for each century, showcasing the very best of that era in my opinion. A few of those centuries are empty, mind, clearly telling me where I need to concentrate my reading, so I’ve skipped about 5. And needless to say, I’ve ignored my own humble scribblings. These are all from other writers, and of the ones I’ve met, they are not onlys skillful storytellers, but also most excellent people. Few writers have tackled the world of early Rome and done it well. One is the tremendous Ben Kane. He has rapidly risen to become one of the pillars of the Historical Fiction world, famed for several series spanning quite some timeframe. But my favourite of Ben’s novels is still ‘Hannibal: Enemy of Rome’. It is a story of friendship, family and sundered cultures in a time which even to many of us Roman-o-philes is still a fairly hazy world. Hannibal brings the Punic Wars to life. Alongside Ben Kane, one of the acknowledged giants of Historical Fiction is the great Conn Iggulden. 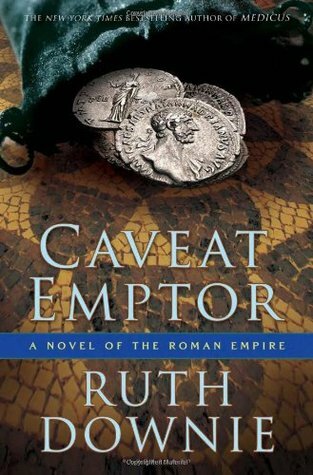 It all started for Conn with ‘Emperor: The Gates of Rome.’ A novel of the early life of Julius Caesar, it is immersive and gripping and set the standard for many authors to follow. And best of all, it triggered a series of four more excellent novels. Huge selection to choose from here, and some astoundingly good books from great writers, so the competition is fierce. But for my money, the prize for the 1st century just has to go to Douglas Jackson for his superb opus ‘Hero of Rome.’ Simply the best, most harrowing, most breathtaking scene imaginable as Boudicca’s rebellion hits Colchester. Every now and then I re-read it to remind myself what I need to try and live up to. Again, a time well covered by some excellent writers, and with so many memorable names, but for sheer personal reading pleasure I have to go with Ruth Downie’s Medicus, a tale about a Roman military doctor and his significant other solving a case of disappearing dancing girls in Chester during the reign of Hadrian. Elegantly written, historically accurate, with flowing prose and the most wonderful sense of humour, it sort of exemplifies the most widely accessible of all historical fiction. I’ve yet to find someone who doesn’t love it. For the record, I very nearly subdivided this century to include Anthony Riches, but rules are rules, and I can only select one. But if you’re after extra reads, launch in Riches’ direction. Long professed on this blog as one of my favourite series, Agent of Rome by Nick Brown takes us into the troubled world of 3rd Century Rome with a member of the Imperial Security service. By turns funny, thought-provoking and gripping, the book is guarenteed to drag you along and the series never fails to disappoint. Makes me weep for the sites often mentioned in these books that I would love to visit, but are in the troubled lands of the Middle East. 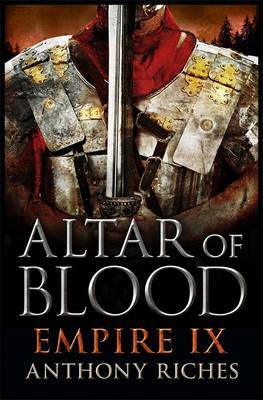 Ian Ross introduces us to the Constantinian era in his debut ‘War at the Edge of the World’, showing us where the world of that most famous emperor began through the eyes of a grizzled centurion. An unusual era for Roman fiction, and a welcome addition. Gordon and I have tackled Constantine too, but Ian got there first and did a damn fine job, I must say. ‘Eagle in the Snow’ by Wallace Breem has long been considered one of the seminal works on the Roman world. Most Roman fiction authors will cite this as one of the best books written. Set at the very end of the Western empire, it is a somewhat sad and heart-wrenching view of the decline of a glorious world, and has certainly influenced my own opinions on the genre. ‘Raven: Blood Eye’ by Giles Kristian. Kristian has written a series set in the English civil war, and a new series of viking novels that are something of a prequel to this and more epic in scale. But there is something about Raven, and its sequels, that just grab me. They are adventure incarnate as Vikings seek fame and fortune across Europe. It is hard to deny the value of these books as works of great historical fiction. And while we’re in the Viking era, though a little later, I’ll offer you ‘The Whale Road’ by Robert Low. Low’s books are very different to Kristian’s. They lack some of the ease of adventurous style of the Raven series, but they hit a new sweet spot in being very much ‘of their time’. They feel like great Scandinavian epics, and the world they explore, being Eastern Europe and the Russian steppes, is fascinating and unusual. One could potentially accuse me of nepotism by adding Gordon Doherty. He is a good friend and we are working together on a series. However, I am drawn time and again to cite him as the very best of what the Indie publishing world can offer. ‘Strategos: Born in the Borderlands’ is a tale of the early medieval Byzantine world and is simply breathtaking in its atmosphere and colour. I defy you to disagree. Robin Hood has been done quite a bit. In both literature and on screen. But ‘Outlaw’ by Angus Donald takes an approach I’d never considered, treating him as something of a mafioso crime lord. Seen through the eyes of Alan a Dale, this book is something new in a very old hat world. And better still, the following 7 books take Robin Hood through the whole world of the 12th and then 13th centuries. This book is simply a ‘belter’. For the record, Outlaw pipped Prue Batten’s Gisborne to the post by the width of a shadow. Narrowly squeaking in at the end of this century I’d place Robyn Young’s ‘Insurrection’. I enjoyed Robyn’s Templar series, despite my fear of all things Templar (writers seem incapable of touching the subject without getting mystical and creepy). But this tackling of the Scottish wars of Independence under Robert de Brus takes us in unexpected directions and earns its place as a fascinating read. Michael Jecks’ ‘Fields of Glory’. Well I knew Jecks as a crime writer. I read this entirely by accident, expecting murders and investigations. What I got instead was a saga of military campaign during the Hundred Years War, with some proper villains thrown in to boot. Jecks’ knowledge of his era shows in a tale that is so thoroughly believable and immersive. One of the best. ‘Into the Fire’ by Manda Scott is one of three books on this list some might argue as not Historical Fiction. But the fact is that it is a dual-timeline novel, and half the book is set in the time of Jeanne d’Arc, the maid of Orleanse, so it qualifies for me. This is a thriller of the very highest calibre, switching back and forth between Joan of Arc and a series of grizzly arson events in modern France. Scott cut her teeth in the ancient orld and has an instinctive knack for bringing the past to life, which she does in spades here. ‘Hunter’s Rage’ is actually the 3rd book in Michael Arnold’s series of Civil War adventures. And once more, the 17th century for me is an era rich in excellence, so Arnold has really pulled out the stops to surpass the others. Hunter’s Rage for me was the moment in this excellent series when he truly hit his stride, and the prose was effortless, the story gripping, the pace breakneck, the history thorough and the characterisation vivid and astounding. The 18th century for me is a largely unplumbed time, but recently I was introduced to the works of Robin Blake, and so I have no problem filling this century.’A Dark Anatomy’ is the first of four books (so far) in a series of historical mysteries that have kept me entertained, researching the events surrounding them, and hungry for more. Oh, Paul Fraser Collard, why’d you have to be so damn good? You knocked D.E. Meredith off the top spot by a fraction of a hair’s breadth. The Jack Lark series have been likened to Sharpe. They’re not. They’re better than Sharpe. They are what Shapre should wish to be. ‘The Scarlet Thief’ was the first in the series and a book I didn’t believe could possibly sprout sequels. I was wrong. Collard is at the top of his game from square one, which is incredibly rare. Read this book, set in the time of the Crimean war, and you’ll agree. ‘Traitor’s Gate’ by Michael Ridpath is fascinating. It’s not quite a historical saga. It’s not quite a thriller or whodunnit. It’s not quite a war story. But in some ways it’s all of those. It is one of the best books I have read in the modern era, showing you the world of Nazi Germany before the outbreak of the war. I felt for the characters, and the premise at times chilled me to the bone. I loved it. So will you. Simon Toyne’s ‘Sanctus’ is the third of the ‘not-quite’ hist-fic books on this list. Yes, it’s set in this century, but the themes, culture and alternate history suffusing and surrounding it for me qualify it as Historical Fiction. It is the first of a trilogy of quasi-religious myseries in a similar vein as (though to my mind better than) Dan Brown. As a story it is a unique and fascinating idea, and truly hit the big time in my top books. 21st century meets thousands of years of history in this blinder. So there you go. A book a century. If you’ve not read them, you can fill your reading llist in advance for winter. Have fun and happy reading.